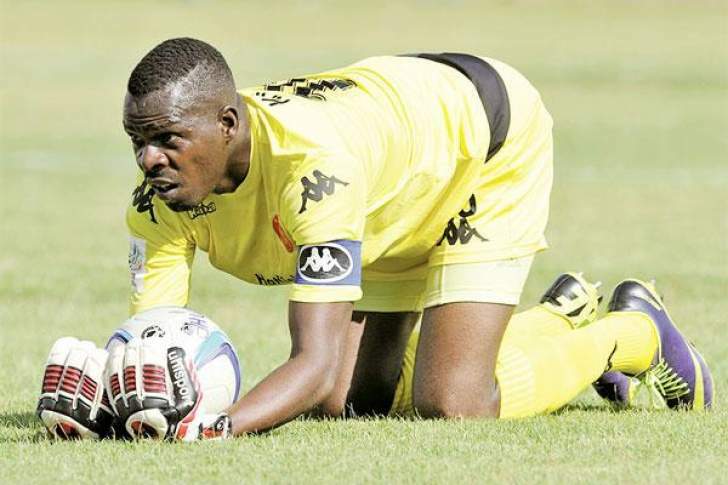 TAPUWA Kapini will go down in history as one of Zimbabwe's most eccentric and colourful goalkeepers of his generation, but the former Highlanders shot-stopper wants to be remembered for something more profound than his crazy antics on the field of play. The former Warriors captain, who has remained at the peak of his profession for almost two decades, wants to leave a legacy owing to his longevity at the top level of professional football. Kapini has been enjoying a new lease of life in the Absa Premiership after guiding Highlands Park back into South Africa's elite league after just one season in the second-tier National First Division. The former Black Aces, Highlanders, Platinum Stars and Amazulu shot-stopper, who turned 34 last month, has maintained his brilliant form for the Lions of the North on their return to the top-flight, repaying the faith put in him by former Bafana Bafana coach Owen Da Gama, who entrusted him with the captain's armband. Kapini recently kept a clean sheet in a goalless draw against champions Mamelodi Sundowns and was yet again called up to use his experience and agility as Highlands Park escaped with a point from their league clash against Baroka FC on Wednesday. "I'm really enjoying my football at the moment; I'm not stressed about anything, I'm just focusing on my game and enjoying every moment of it," Kapini told The Sports Hub in an interview last week. "Of course, I'm not young anymore so I've had to go back to the basics. If you've noticed, I don't run with the ball inside the field or try to dribble past strikers as I used to do in the past, but I'm still enjoying football so much and I hope I can continue to inspire the upcoming generation," he said. But what has been the secret to Kapini's long football career which has taken him to his 12th year in South African football having also spent seven years at Bulawayo giants Highlanders between 2001 and 2006? "It's all about looking after yourself and being passionate about the sport," Kapini says. "Football is the only career I have known. I don't have educational qualifications like degrees. it's only football that i know, so I have to make sure I look after myself so that I remain fit and ready to go for as long as my body is able to cope with the pressure of being a professional footballer." Kapini, is married to Sandra Mpala with whom they have three children, and draws inspiration from his family. "I also give thanks to the people who are behind me, which is my family. they look after me each and every day. They are the ones who inspire me to keep striving to do better each and every game. "Whenever I'm at training or in a game situation, I always think about the fact that I've got a family to look after, so they give me strength. When we were young, our coaches always told us that with discipline and dedication you could achieve everything that you set out to achieve in life — that's the mantra I have kept throughout my career. One of the goals Kapini has set out to achieve is to have another dance with the Warriors before he hangs up his gloves. It's something he has not been able to do for the last six years, since keeping goal in the Warriors' 3-1 win over Angola in a 2013 Africa Cup of Nations (Afcon) qualifier at Rufaro Stadium on September 8, 2012. Kapini aggravated a knee injury during the match and went on to miss the decisive encounter in Luanda a month later, where the Warriors lost 2-0 against the hosts to miss out on the ticket to the Afcon finals held in South Africa in 2013. Although there are some who believe he is now past his prime, the Highfield-bred and raised goalkeeper insists he still has a lot to offer to the Warriors cause if given the chance. In fact, Kapini feels people should not use his age as a basis for selection into the worriors. he believes it is his ability and current form at his South African club that should decide his future with the warriors. "Like I always say, there should be no age limit for the national team. When someone is performing well, they need to be rewarded based on current form, not on how old they are. However, coaches have their own methods and reasons, so I can't blame anyone for not being called up even though I have been playing consistently well," Kapini said. "I remain available for selection for the national team, playing for your national team is the pinnacle of one's career and when I used to play for the Warriors it was always one of my proudest moments. He added: "I believe as long as I feel I can contribute positively to the national cause, I will remain available. Obviously, I've not had the opportunity to do that for a long time now, but I haven't lost heart and I know the time will come. I just have to continue working hard." The former Warriors captain says just like Paris St Germain goalkeeper Gianluigi Buffon and Egyptian Essam El-Hadary, he can continue competing at the top level well into his 40s. "Gigi Buffon is still playing at the highest level and he's almost 41, Peter Shilton retired from international football at the age of 47 and Essam El-Hadary played for Egypt at the recent World Cup at the age of 45, so why should people say Tapuwa Kapini should retire when I'm only 34? "I can't retire because people want me to retire, I will retire when I feel that I'm no longer able to add value and my body can no longer take the strain." Kapini, who is affectionately nicknamed "Campos", after the animated Mexican 'keeper Jorge Campos, feels many Zimbabwean footballers cut their careers short because of pressure from some fans who felt they were too old. "That's the problem we have in Zimbabwe and Southern Africa in general. when someone turns 31, we start saying the person is finished and can no longer compete at the highest level. People want you to retire when they want. But look at someone like Siphiwe Tshabalala, he's 32 or 33, but he got a good offer to play in Turkey, so people must stop discriminating players based only on their age, but also consider one's ability. Another example is Mkhokheli Dube, he's 35 but he's enjoying his football because of his discipline and ability to look after himself," Kapini said.